So who is Angry Man? It's a question everyone is asking right now and yet even though some fingers are being pointed, the Fluoro guru remains incognito. 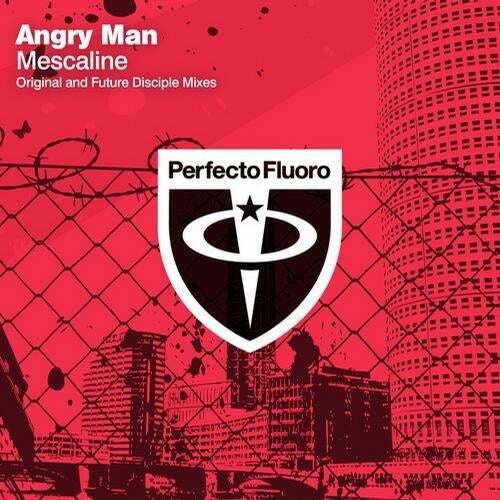 Hot on the heels of his incredible live debut at Sankeys in Manchester last month - Angry Man is back with his 2nd single on our Goa inspired trance imprint Perfecto Fluoro. "Mescaline" hits you right between the eyes - drilling into the depths of your brain. A full on Goa acid trip taking you way out there beyond the boundaries. A stratospheric, intergalactic, aerodynamic, hallucinogenic journey that can't be stopped once you've taken your hit. Future Disciple is another name you'll be hearing a great deal more of on Fluoro. He "gets it". And this driving remix shows why we adore his work so much. This is Mescaline. If you commit to it there's no turning back - you're just best off embracing it and letting go.